What a treat we have for you today! 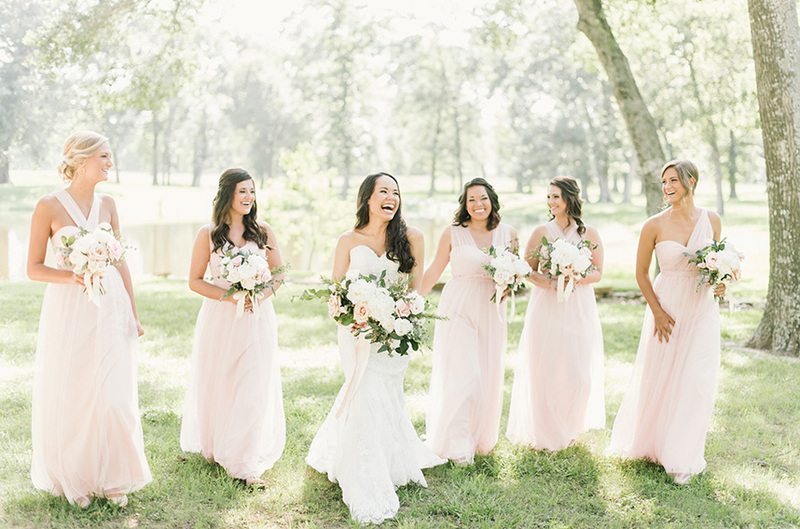 We’re thrilled to feature Phuong Nguyen of Mibellarosa, a Houston floral artistry company specializing in stunning wedding florals. Phuong has invaluable experience as a wedding florist and has worked with countless brides to make their floral visions come to life. 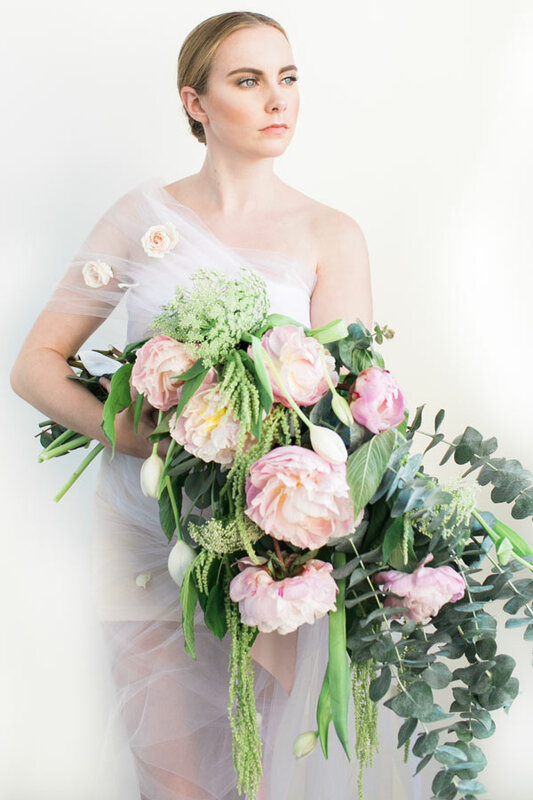 But what if you’re a bride who doesn’t have a floral vision or doesn’t even know where to start? What if your floral budget might now allow your vision to become reality? 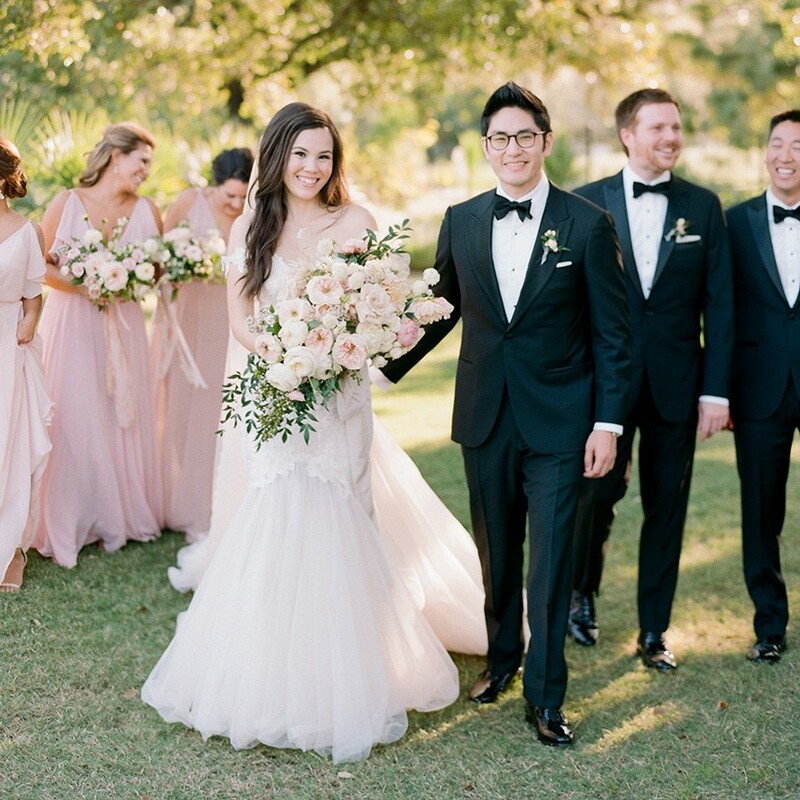 Phuong’s tips can help you make the most of your floral budget, no matter how much you plan on spending, so your special day will reflect your personal style in the best way possible. Read on to learn from Mibellarosa’s expert floral designer! What is your advice for the bride who has no idea where to start when it comes to flowers? Ask yourself if you really do love flowers and what it is that you love or love about it. From time to time, we get brides who tell us they don’t care much about flowers but just feel like they should have them because that’s the norm, so we would steer them in a different direction whether by using plants, greenery, candles or even books as centerpieces — something that may speak out more to them or reflect them better. You don’t have to stick to social norms; this is YOUR wedding and it should highlight who YOU are. And if you really do love flowers, then tell your florist what is most important to you and let your florist build up the inspiration from there. For this wedding, the bride’s father had a large vintage collection of books from his childhood and she wanted to use them in her Alice in Wonderland-themed wedding, so we incorporated the books and vintage dinner plates, tea cups, saucers on her family table. We went with a simple garland and custom hand-dyed organic runners for these tables and chose to focus on the books instead of flowers. 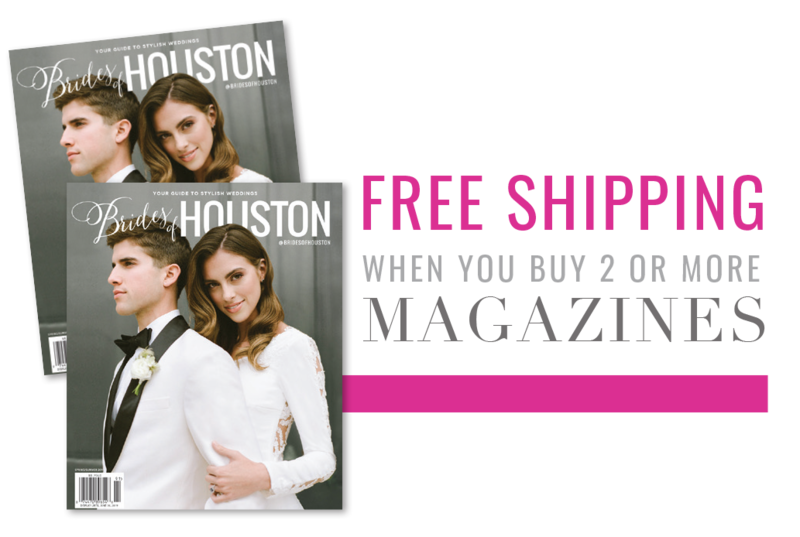 Why should a florist be one of the first vendors a bride books? 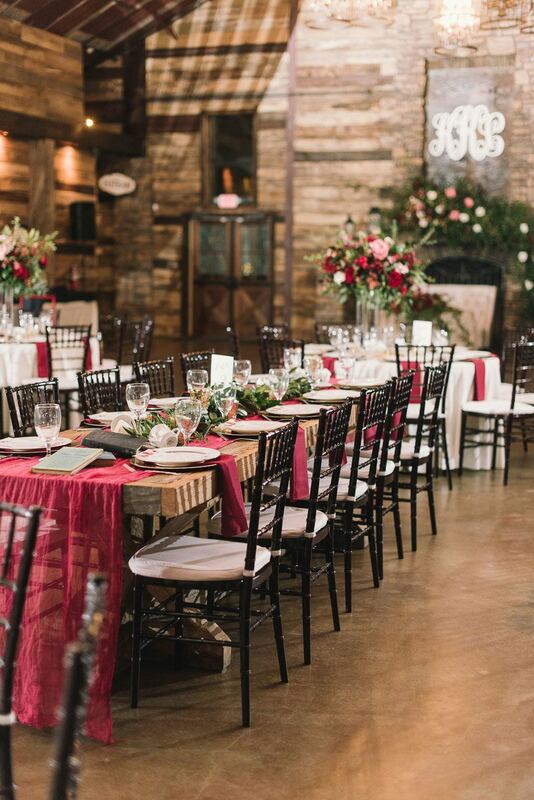 I think florals do so much talking in a wedding setting. They set the tone, the environment, the feel… they are simultaneously the backdrop and the focal point (besides the couple, of course). I’ve seen the same venue transformed so many different ways with the use of florals alone, so it really does set the look and tone of your wedding and that’s why I think it’s best to book your florist after you book your venue. If you know what your wedding will look like with florals, it then helps you to determine your linens, your décor, your invitation suite, lighting, etc. Florists who are involved in the overall event design are also harder to book because they usually only take one wedding per day or weekend in order to give their utmost attention to detail to that wedding, so you don’t want to wait around too long. 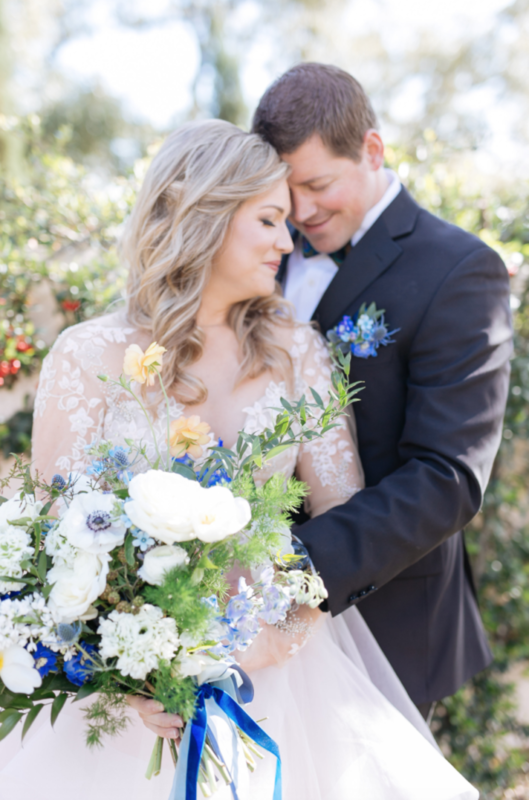 This destination wedding was set in New Orleans. Due to the summer heat, we decided to do an intimate but elegant indoor garden for them and selected the linens and tableware to complement their flowers and overall look. What are some go-to ways you like to make a statement with flowers without breaking the bank? We always work with local or seasonal flowers to make sure they are not going to cost the bride an arm and leg to ship in. We also like to do research on what’s been done at the venue, so we can create something that has never been done there before. That gives our couples the unique wedding they want and deserve without having to shower the entire place with flowers. A) Focus on what you and your guests want to be WOWed by (ceremony arch, flowers over the dance floor, bridal table spread, etc.). Whatever it is, put your money there but you have to be okay with knowing everything else may not be as grand. For example, guest tables don’t get as much attention, especially the ones in the corners of the room, so save money on those tables with DIY candles, picture frames or small potted plants. B) Edit your guest list. 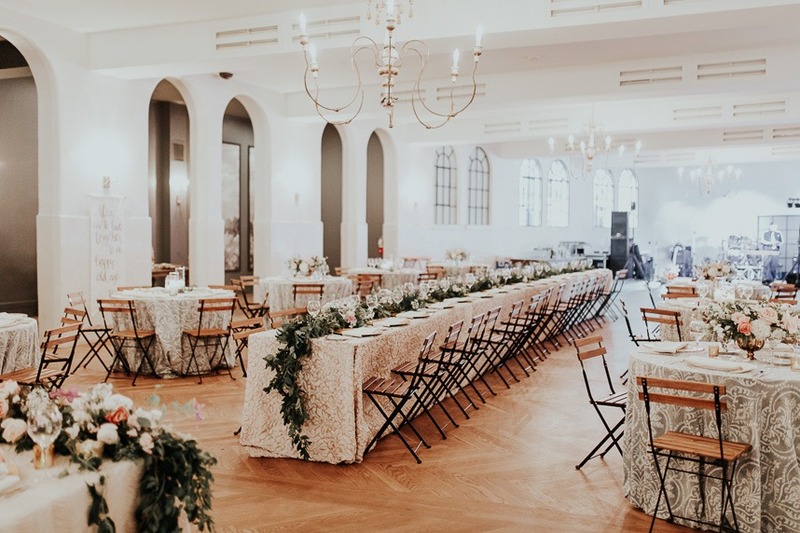 Not having to invite 20-30 people can make a pretty good difference because it lowers your catering, linens and bar costs as well, which allows you to reallocate the savings to adding more flowers where you want them. For this wedding, we wanted to make a big impact but the room for the ceremony was really large and dark, so even if we used large arrangements for the altar, they would not stand out much. 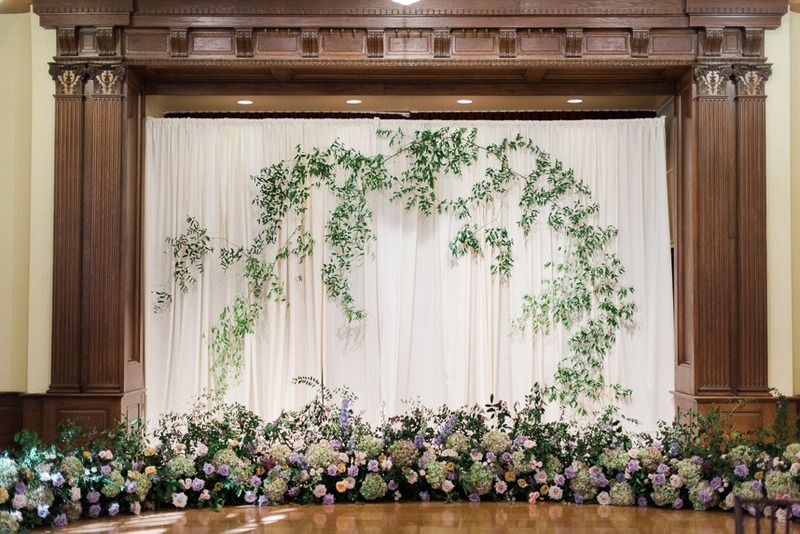 We opted to drape greenery on the draping to frame our couple as they said their vows and created a half-moon ceremony arch from the ground up for them instead. Both items would be clearly visible from the back of the room and would wow guests as they come closer. Special thanks to Phuong Nguyen for sharing such wonderful advice. To learn more about Mibellarosa’s floral design services or to get in touch with Phuong, visit her vendor profile!